Nevada is the most mountainous state in the continental United States. The Cowboy Country is comprised of Battle Mountain, Carlin, Denio, Elko, Gerlach, Jackpot, Jarbidge, Lamoille, Lovelock, McDermitt, Wells, West Wendover, and Winnemucca. Prostitution has been legal in rural Nevada counties since 1971 under strict state health board oversight but is against the law in the Las Vegas and Reno areas. 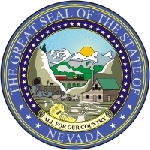 The state of Nevada is located in the western region of the United States and is ranked as the 7th most extensive state in the country covering over 110,000 square miles of land area. It is also ranked the 35th most populated state with an approximate population of 2.7 million people, but is the 9th ranked in terms of the least densely populated state. Over 65% of Nevada's population actually live in the Las Vegas metropolitan region, which is also where the states top three largest incorporated cities are located. The capital of the state is Carson City which contains roughly 52,000 people. The state itself is mostly a desert region with a semiarid climate that is located in the Great Basin. 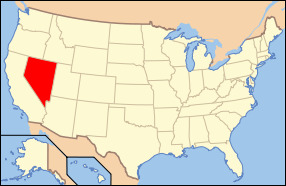 Regions south of the basin are in the Mojave Desert region, and Lake Tahoe along with the Sierra Nevada Mountains are located on the western side. Roughly 86% of the total land area within the state of Nevada is government owned. Nevada derives its states name from the local Sierra Nevada Mountains, which has the meaning “snow capped mountain range”. In early times, the states land was largely used by Native American tribes such as the Shoshone, Washoe, and Paiute tribes before contact from Europe was made. It wasn't until 1848 when the United States acquired the territory after the Mexican American Way. In 1859 the population exploded with the discovery of silver found in the Comstock Lode area. Nevada subsequently became known as the “Silver State” as this played a huge part in the states overall history and economy. In present day Nevada is primarily known for the legalized gambling opportunities available within the state, transforming the state into one of the countries top tourist destinations. Between tourism and mining, Nevada has a strong economy as compared to many of the other states. Nevada's state bird is the Mountain Bluebird, the state animal is the Desert Bighorn Sheep, and the state fish is the Lahontan Cutthroat Trout. The state flower is the Sagebrush while the tree of the state is the Single leaf pinion and Bristlecone pine trees. Nevada's state motto is “All for our country” and the state song is “Home Means Nevada”. The states highest point of elevation is Boundary Peak, which is 13,143 feet above sea level. Popular bodies of water within the state include Pyramid Lake, Lake Tahoe, Lake Mead, Walker Lake, Lake Mojave, Humboldt River, Truckee River, and the Colorado River. Nevada continues to be one of the top tourist destinations in the country, and in the world in regards to gambling in its famous city of Las Vegas, and will continue to serve the United States well with its strong economy.